While dinosaurs came a long time before us humans, fossils and modern technology have helped us piece together what dinosaurs may have looked like and even how they might have behaved. Read on for a wide range of cool dinosaur facts that are perfect you. To help fight meat eaters such as the Allosaurus or Spinosaurus, many plant eaters had natural weapons at their disposal. 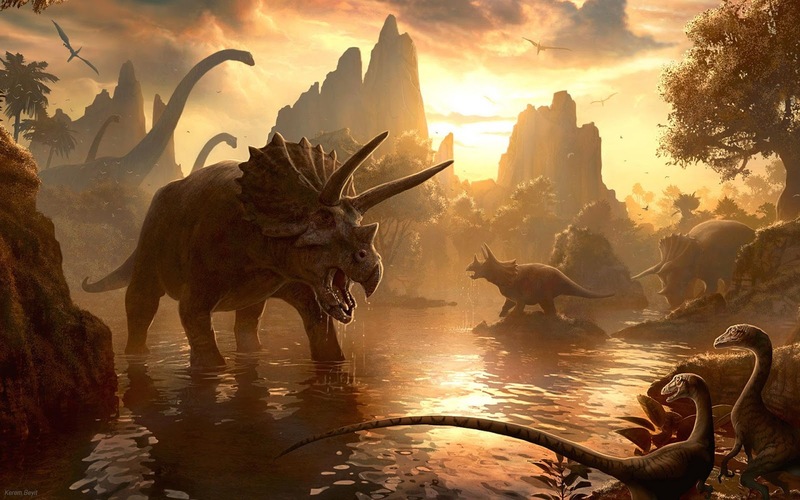 Examples of this include the spikes on the tail of the Stegosaurus and the three horns attached to the front of the Triceratops’s head shield. Pterodactyls are not dinosaurs, they were flying reptiles that lived during the age of dinosaurs but by definition they do not fall into the same category. The same goes for water based reptiles such as Plesiosaurs. Despite being long extinct, dinosaurs are frequently featured in the media. One of the more memorable examples of this is Michael Crichton’s 1990 book Jurassic Park. Adapted to movie in 1993, the story features cloned dinosaurs brought to life with the help of DNA found in mosquitoes trapped in amber.